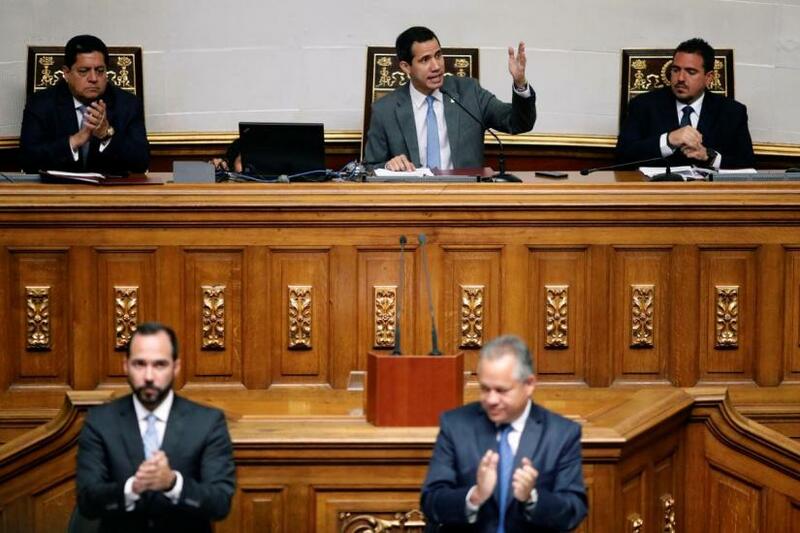 Venezuela's opposition-controlled congress named new temporary boards of directors to state-oil firm PDVSA on Wednesday, in an effort to wrest the OPEC nation's oil revenue from increasingly isolated socialist President Nicolas Maduro. Controlling PDVSA's US refiner Citgo Petroleum , Venezuela's most valuable foreign asset, would go some way to helping in that, though seizing the reins of PDVSA itself seems improbable while Maduro remains in power. PDVSA's crude output has slumped to 70-year lows, due to crushing debts, widespread corruption, and little maintenance of its infrastructure. The administration of US President Donald Trump, which backs Guaido, imposed sanctions on Venezuela's oil sector on Jan. 28, aimed at curbing exports to the United States and upping the pressure on Maduro. Trump will give a speech on Venezuela at Florida International University in Miami on Monday, voicing support for Guaido and also making remarks about "the dangers of socialism," a White House official said on Wednesday. In the meantime, the United States has said it will try to channel aid to Venezuela, via neighboring Colombia and possibly Brazil. Duque said Maduro's refusal to let in aid amounted to a crime against humanity and called on other countries to recognize it as such.